BLOWOUT SALE! Ideal for organic gardening! Monterey All Natural Disease Control is a ready-to-use blend of naturally occurring ingredients that control plant foliar diseases. 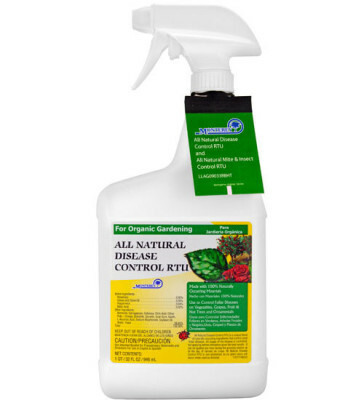 All stages of the disease is controlled, but applying before infestation gives the best results. May be applied any time during the growing season up to the day of harvest on crops. 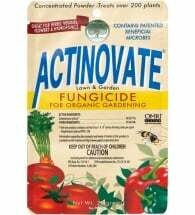 Non-phytotoxic — will not burn plants when used as directed. This product meets the program standards set forth by the National Organic Program (NOP). 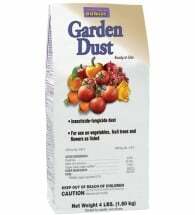 Ready to use on vegetables, grapes, fruit & nut trees, and ornamentals against powdery mildew, black spot, rusts, leaf blight, leaf spot, brown rot, anthracnose, dollar spot and many others. 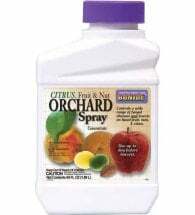 Thoroughly spray all plant parts on a weekly basis until diseases are under control. If high disease conditions exist, this interval may need to be shortened. 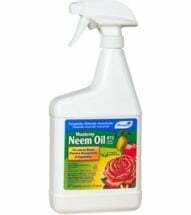 Can be used on both indoor and outdoor plants and in home greenhouses.